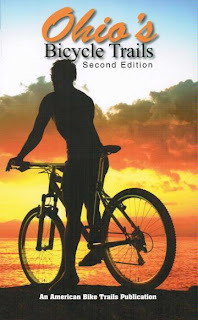 Here's another last-minute gift idea -- the all-new Ohio's Bicycle Trails by Ray Hoven. This book covers over 90 Ohio trails -- both surfaced and mountain bike -- and includes directions to trail sites, distances, points of interests, and riding tips. This stocking stuffer makes for great winter reading -- and to help plan for an awesome summer of riding!